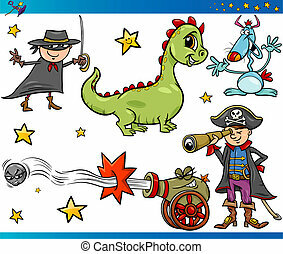 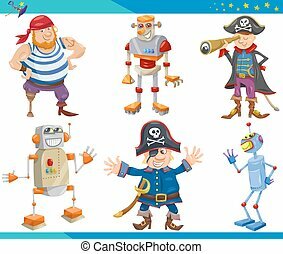 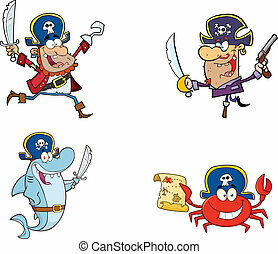 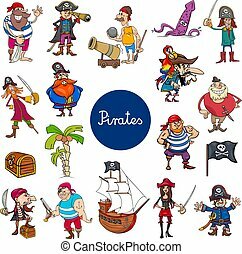 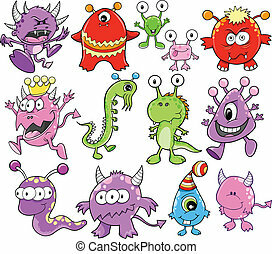 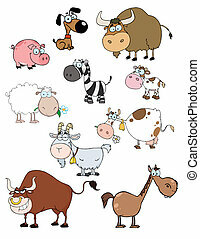 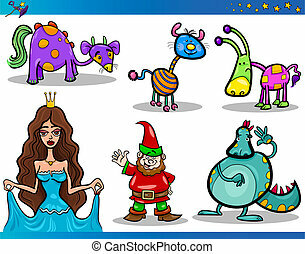 Cartoon fantasy characters set. 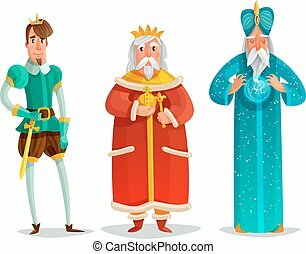 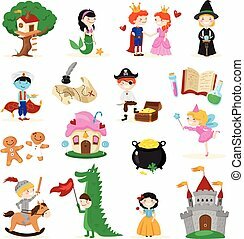 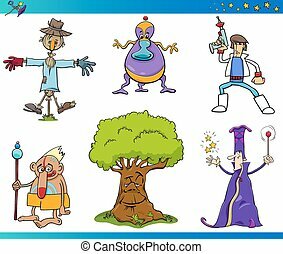 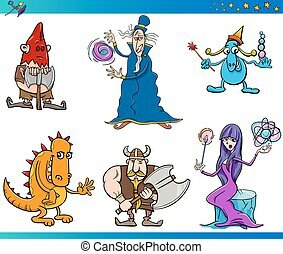 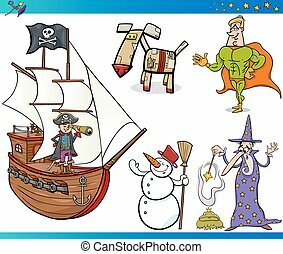 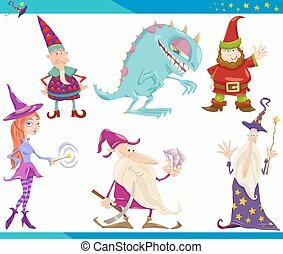 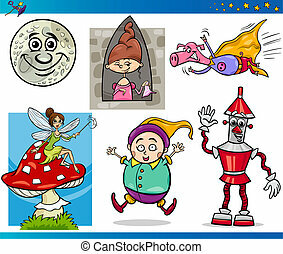 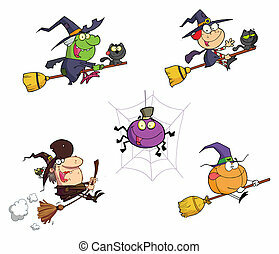 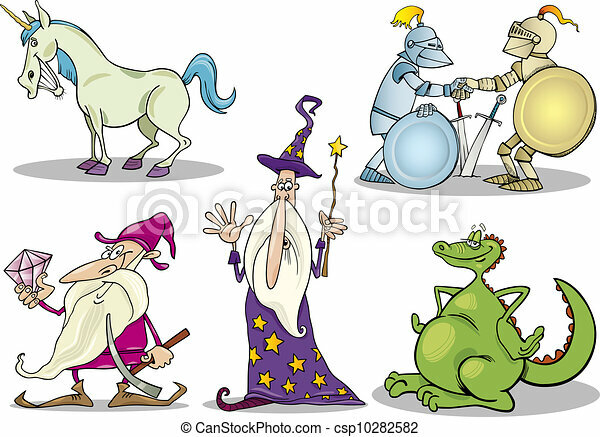 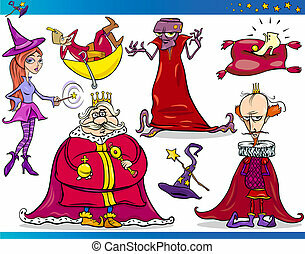 Cartoon illustrations set of fairytale or fantasy characters. 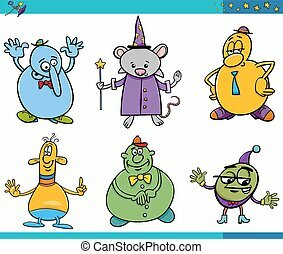 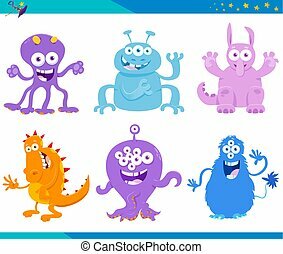 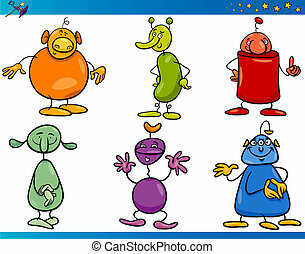 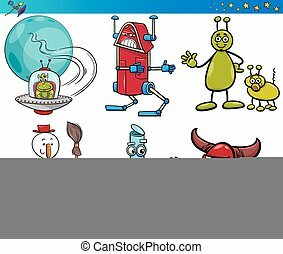 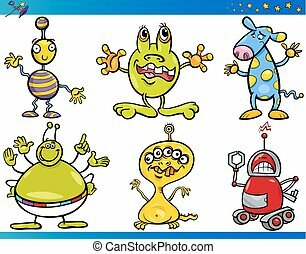 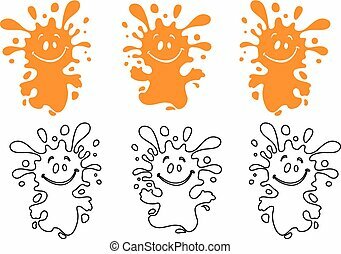 Set of some funny and cheerful cartoon characters splashes. 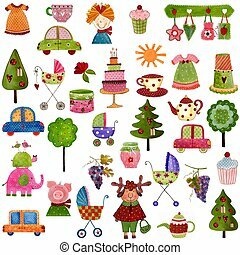 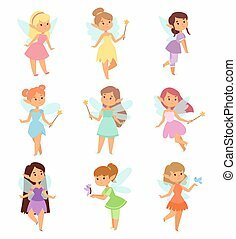 Cute collection of beautiful princesses fairy vector character set. 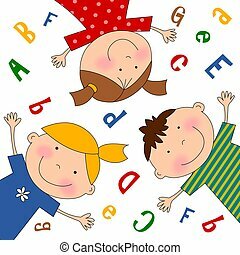 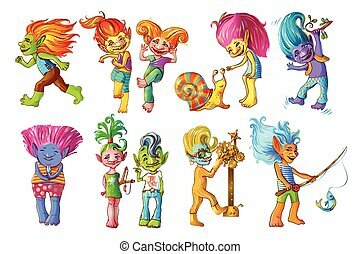 Collection style fairies cartoon characters little girls. 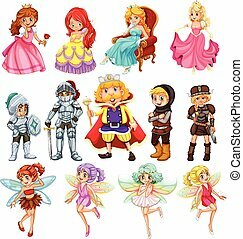 Princess fashion fairytale costume, magic fantasy cute dress crown girl.